IT world is flooded with lots of new technology. One such technology is Multi-cloud, which is creating a lot of buzzes nowadays is developed with the intent of supervising the intricacy of IT environments. Salesforce, Microsoft Azure, OpenStack, IBM Cloud, Google Cloud Platform, Red Hat are some of the top cloud computing service providers. Multi-cloud is very much clear with its name, it means two or more than two clouds are utilizing at the same time to manage the tasks. These clouds can be public, private or sometimes a combination of both. The aim of Multi-cloud is to provide redundancy when you face any failure related to software or hardware. Organizations are adopting multi-cloud approach because of its suitability with modern work system. For example, if your organization’s one team is using Microsoft Azure and another is relying on Amazon Web Services. It emerges out as a result of organic adoption i.e., multi-cloud infrastructure. Multi-cloud systems can also work with companies that use a mix of systems-SaaS systems like cloud-based construction scheduling systems and IaaS( Infrastructure as a Service). For now, it is a little bit tricky to manage multi-cloud systems because it is in their infantile stage. But, as technology progresses, it will become easier and easier to adapt.ulticloud systems can also work with companies that uses a mix of systems-SaaS systems like cloud based construction scheduling systems and IaaS( Infrastructure as a Service). For now, it is a little bit tricky to manage multi cloud systems because it is in their infantile stage. But, as the technology progresses, it will become easier and easier to adapt. The best thing about the multi-cloud approach is that it is just mixing and matching of various solutions comes out from different cloud providers. In this way, it creates the most suitable solution to cater overall business needs. That’s why enterprises are looking forward to leveraging its strengths and advantages. Most of the businesses are still in the cloud today. As per the report from VMTurbo, it has highlighted that 57% of organizations have no multi-cloud strategy at all, whereas 35% do not have a private cloud strategy and 28% lack one for public cloud. The reason may be lack of awareness, cost, or management as it requires proper IT infrastructure with respect to security, resources and cost control. 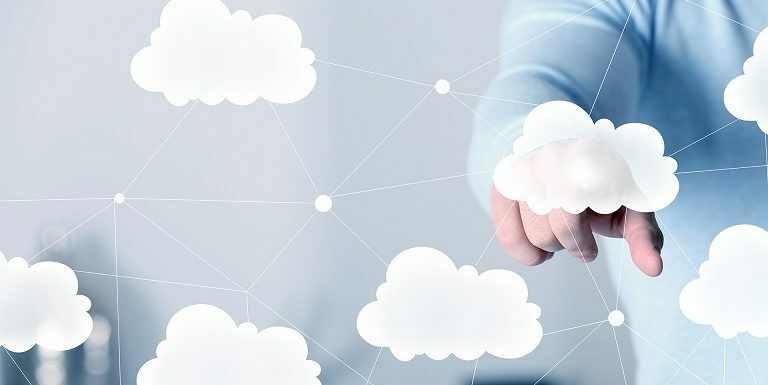 One business unit is utilizing multiple clouds to achieve more functionality and features from various clouds are actually utilizing multi-cloud approach. Multi-cloud is considered as a next big step in cloud technology. As per the Gartner’s report, Multi-cloud strategies will jump from 10% in 2015 to more than 70% by 2018. Cloud computing services are also there to help you in choosing right clouds. According to Worldwide Cloud 2017 Predictions research, IDC forecasts that- “more than 85% of businesses will consign to multi-cloud architectures by 2018. As per the Rightscale’s survey, “enterprises running an average of 1.8 public clouds and 2.3 private clouds, an indicator that multi-cloud strategies are quickly gaining traction”. As your business is going older, it will need some more space in order to run things smoothly. Cloud is a complete matter of data security, functionality, servers, networking, analytics and many more. Now multi-cloud is about having powers of multiple clouds. It provides you with the flexibility of great level. Like, when you want some elements to available in the cloud, you can keep them and when you no longer need any of them, you can scale down them to a local server. Surely you can switch to giant cloud-hosting but that doesn’t work out in that way but as you have to focus on needs of different units in your business and you don’t want to be fixed on that. By utilizing more than one cloud, even using the combination of public and private one, one can figure out the best-matched solutions that fitted to their needs. Using multiple clouds will never lock you with one vendor. It is like “you are not putting all of your eggs in one basket”. There are time-bounded contracts including a lot of risks and limitations in choosing one cloud hosting. All the more you are not bounded with vendor too. What if you find another more compatible cloud? Mostly, you have to abandon the previous cloud and it is time-consuming as well. So it is better to switch the right one. You can prevent yourself from lock-in. It is quite good and simple as well if you choose multiple clouds to achieve their capabilities. By switching on to the combination clouds, you can save capital expense costs on various things like hardware, servers, a network which you are investing for individually. Also, cloud downtime is an important matter. If your cloud is inefficient, it will give you a major loss in your business. The multi-cloud approach can help you find the right combination and ultimately you can boost your growth by dropping your expense. You need to manage your data at every point but not all data is same and created equally. In a more often, you want to have different cloud hosting to do this. Sometimes you need to upload or download the crucial data and for that, you need the security of maximum level and cloud provider that is built for more speed, security, and data maintenance. You can choose Salesforce in your multi-cloud approach as it is extremely good at data management. For that Salesforce integration partners can help you out. Businesses must have a suitable cloud strategy by which they can boost their business. Without any strategy, you will have a hollow pattern to run your major and basic tasks, and then you can’t expect the desired growth and performance from your efforts. You need to work out which clouds will best suit your needs. Inspect every cloud before choosing it. Look at the challenges, profits, and their precise cost so that you can analyze the gain and performance by your investment. You can go through surveys and look at the reports to choose desired clouds. Hope you liked this piece of write-up. Let us know what you think about multi-cloud computing. You can share your views in the comment section. All the best for your practices! !